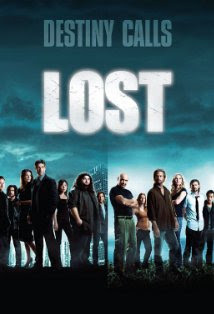 I FINALLY got to see the 12 minute epilogue to Lost that was released on the Season 6 DVD and it was awesome! Right now, Lost is basically my favorite show ever. I loved the mystery, the drama, the characters, the story; I loved it all. That’s not to say that there weren’t some things that I found to be annoying or disappointing, especially some of those unanswered questions and “Stranger in a Strange Land,” but I’ve forgiven the writers for some of their shortcomings and decided that I don’t care (that much). The characters and story were always the most important pieces to me and, on those fronts, Damon and Carlton delivered. But when my mind cleared after witnessing a very emotional and beautiful season finale, I realized that there were a lot of questions that went unanswered and some of them were kind of a big deal. Then I heard that there was going to be an epilogue with Ben and Hurley on the Season 6 DVD and I was really excited, hoping that we would get a look at their time on the island and maybe an answer or two. The epilogue leaked on YouTube shortly thereafter, but by the time I got home from work, it had been taken down and I was forced to wait and, in doing so, my eagerness dissipated and my forgetfulness took over until I realized just the other day that I still hadn’t seen it! A quick Google search directed me to the video and I can now say that I have been enlightened. Basically, Ben visits a couple of dudes at a Dharma (Raiders-of-the-Lost-Ark-esque) warehouse in Guam and ends up showing them a training video starring Piere Chang, which reveals the answers to a number of mysteries like what the Hurley bird was and why pregnant women die on the island. From there, Ben visits Santa Rosa and recruits a teenage Walt to join him on the island. Ben and Walt join Hurley in a Dharma van and the epilogue concludes with them driving off. Based on Hurley’s comments, we are led to believe that Walt was special because he was a candidate. Overall, it was pretty cool. I mean, this thing was a total fan treatment and their were a lot of nods to things that only the dedicated fans would understand. I definitely enjoyed it and, in fact, I may need to go back for a second viewing. If you are a Lost fan, do yourself a favor and check it out.